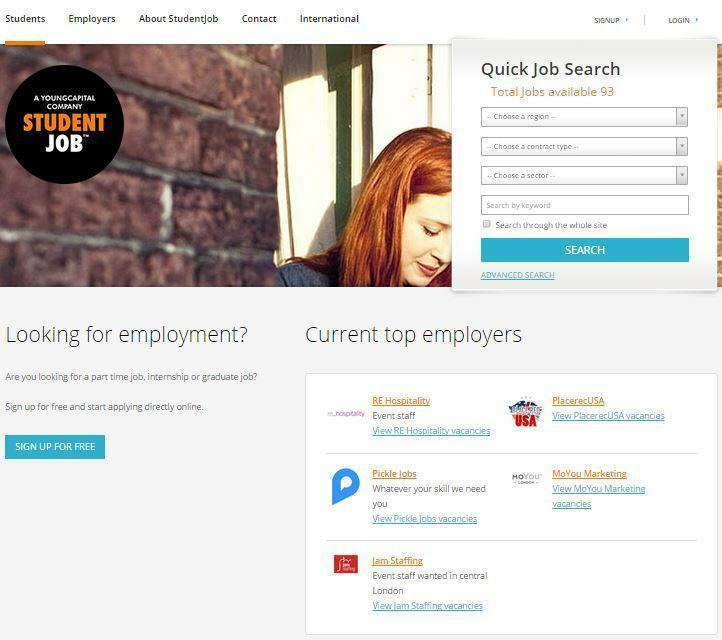 Studentjob.co.uk is a really nice student jobs website for finding any kind of student jobs across the UK. Whether you are looking for an internship to compliment your education, a graduate placement to start your career, or a summer job to make most of your summer, studentjob.co.uk has a wide range of job opportunities and work placements from part time jobs and temporary jobs to full-time jobs and internships. Studentjob.co.uk offers a variety of full- or part-time student jobs alongside internships or placements, graduate jobs and summer jobs and holiday jobs across the UK. Although the amount of job vacancies in London is not huge, job seekers can find some really good job openings and student job opportunities in the UK as well as in other European countries. Go back to Student Jobs category to find more job boards offering internship opportunities for student and graduates.